For Two Way connections with panels, wall start or power pole. This is a ready to install connector for use with AO1 or AO2 panels. The connector is assembled (except lower trim cover which is installed on site). 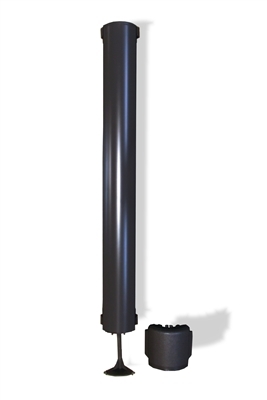 includes the connector tube painted, top and bottom blocks, top trim cap, base stem (for AO2), base two way trim (for AO2). Does not include AO1 trim (not available). Overall height is 39" nominal, actual height is 38" (for AO1 applications 34" nominal and 33" actual). 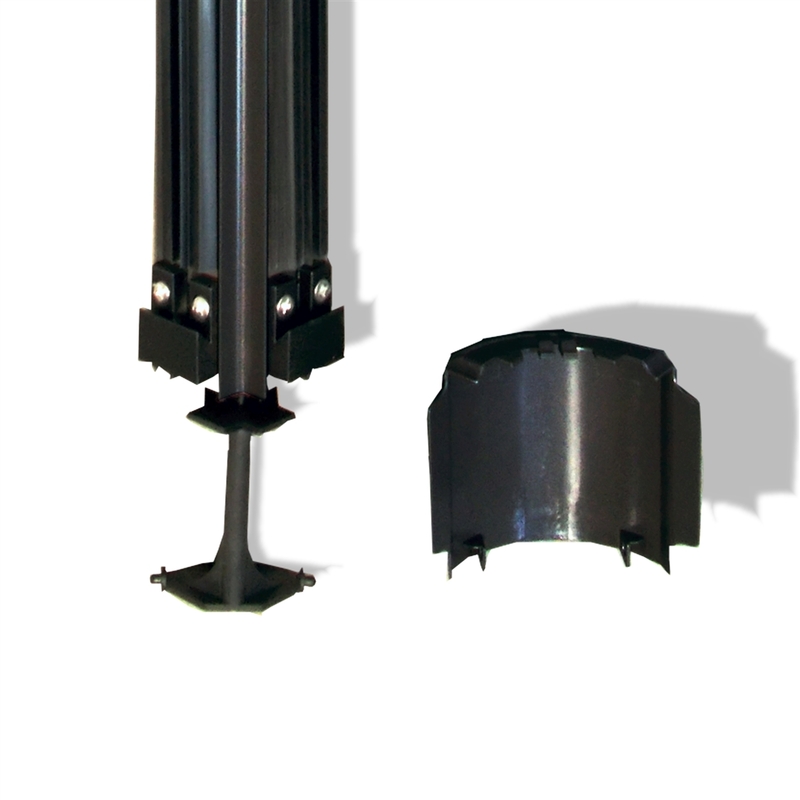 Base trim is 5" overall height (nominal). Approximate top dimension is 2.75" x 2.75" on the center of the block. 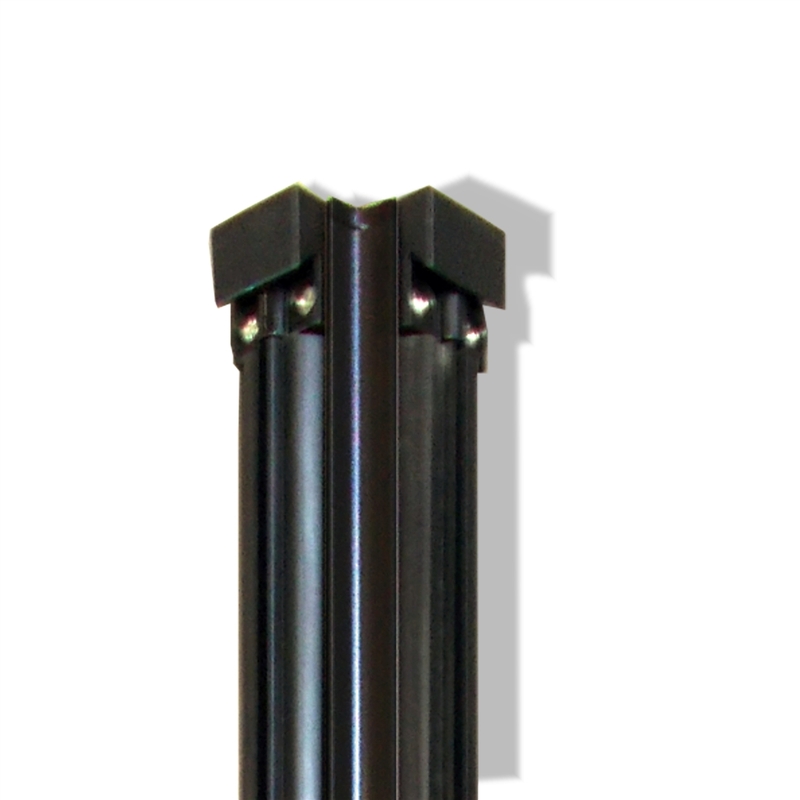 Connector is extruded aluminum with powder coated finish. Draw and Wedge blocks are die cast metal powder coated black. Ready to install for use with AO1 or AO2 panels. 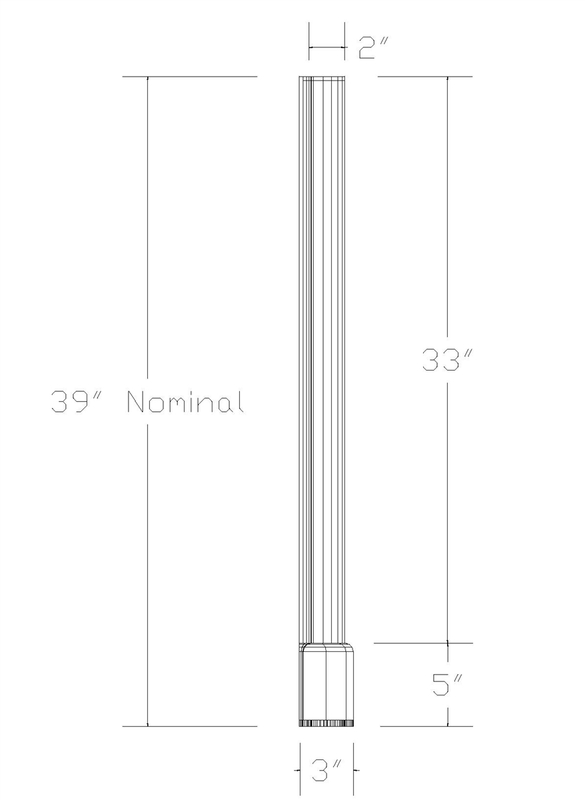 Please note (for AO1 panels, you must remove the bottom stem and trim, this is done in the field).